This gel-like cream is extremely light yet hydrating. 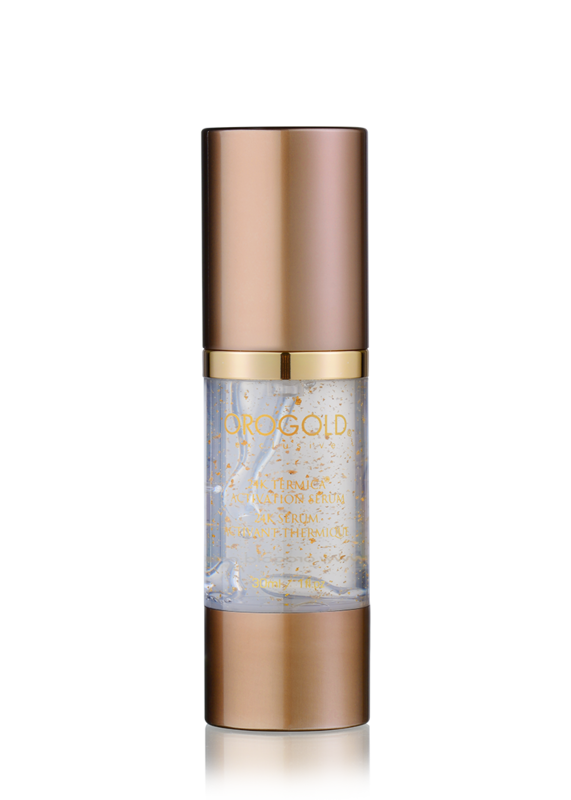 Infused with Gold flakes, Avocado Oil (Persea Gratissima Oil), Vitamin A (Retinyl Palmitrate), Seaweed Extract (Liminaria Japonica Extract), Vitamin E (Tocopheryl Acetate), Sodium Hyaluronate, Caffeine to eliminate the appearance of puffiness, Oligopeptide-68 to brighten the look of discoloration. This nourishing day cream was formulated to reduce the appearance of fine lines and wrinkles, leaving your skin feeling soft and looking radiantly younger. 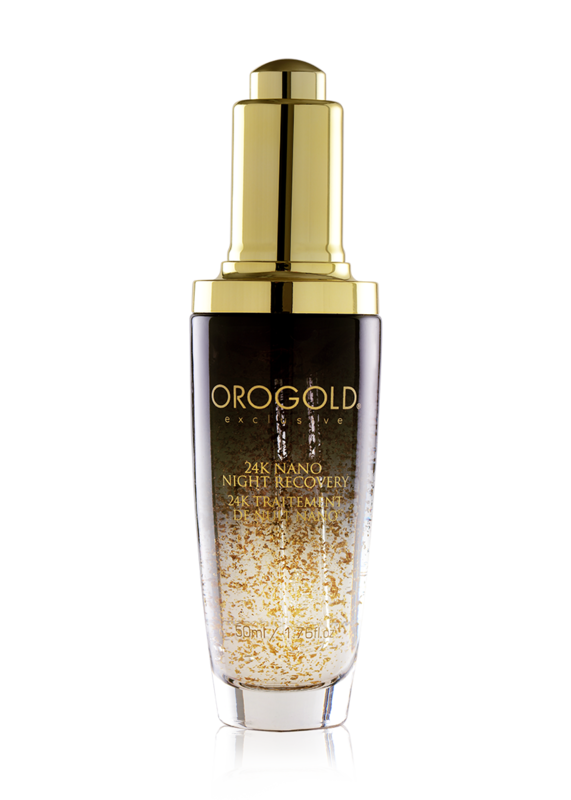 Our revolutionary 24K Nano Night Recovery is truly ground-breaking with its potent formula which delivers nutrients, essential oils, and gold for skin that looks youthful and radiant. 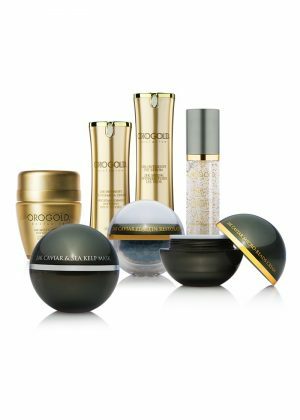 Use it every day to help continuously improve the appearance of aging and deliver high levels of hydration to the skin. 100 g. Jar / 3.53 oz. This unique leave-on mask is both hydrating and refreshing. 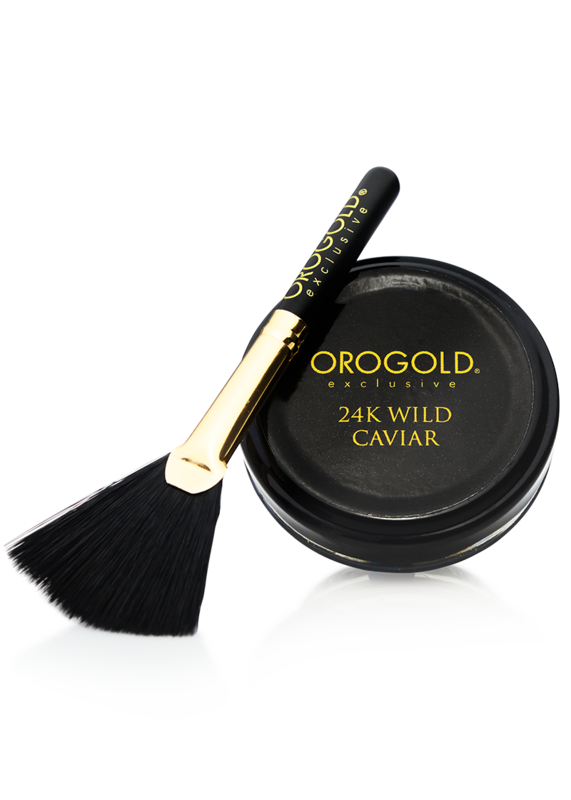 Infused with flecks of Gold and an exclusive blend to transform the mask from a silky cream to water. Once the water is absorbed from your skin, your skin is left feeling silky and radiant. This nourishing mask is formulated with Sodium Hyaluronate and Caprylyl Methicone and PEG-12 Dimethicone/PPG-20 Crosspolymer, a unique blend to keep your skin soft and looking hydrated. 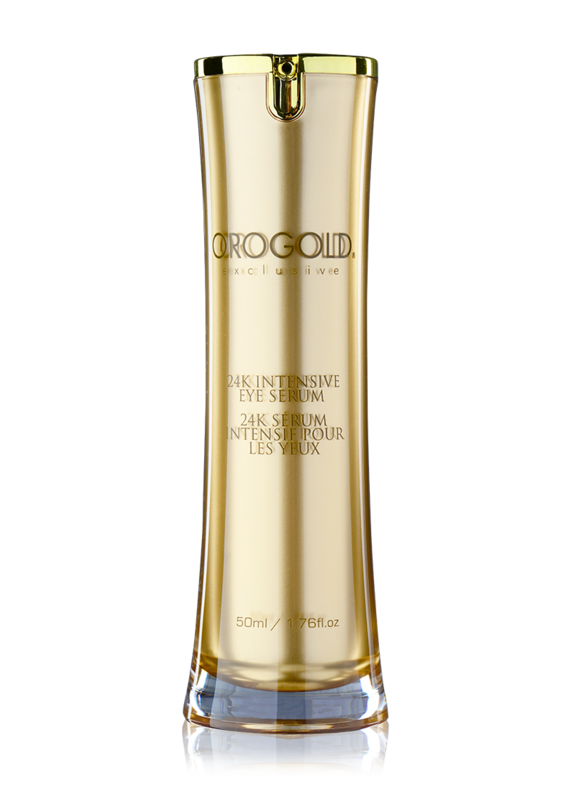 Also, with Vitamin E (Tocopheryl Acetate), flower and fruit extracts such as Acai fruit extract (Euterpe Oleracea Fruit Extract) to offer your skin a boost of hydration and exceptional care. Packed with fruit and plant extracts, this waterless serum helps restore loss of moisture while significantly improving the appearance of wrinkles and expression lines. 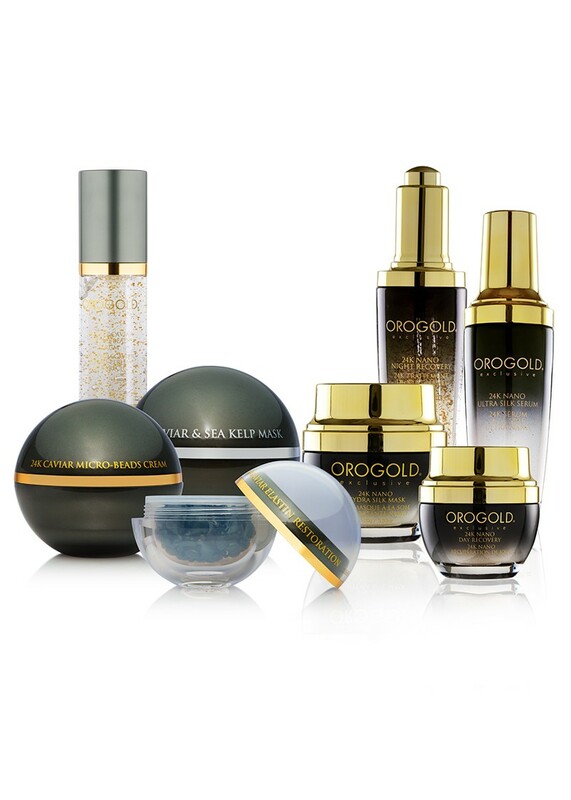 Infused with Gold and oils including Sunflower Seed Oil (Helianthus Annuus Seed Oil), Lavender Oil (Lavandula Angustifolia Oil), and plant extracts such as Seaweed Extract (Laminaria Japonica Extract), also with Tetrahexyldecyl Ascorbate, a type of Vitamin C which is easily absorbed by the skin in order to maximize the benefits of the nutrient. 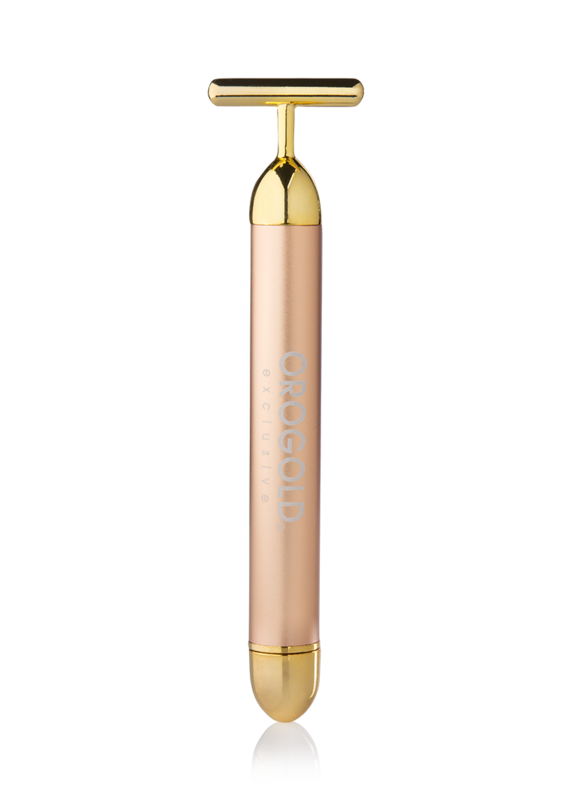 This nourishing serum provides your skin with the variety of components it needs to look younger and healthier.